The Congress said on Monday that the people of Karnataka have accepted the development policies of the Congress-JD(S) government in the state and have rejected the 'jumlas' (rhetoric) of the BJP, after the party emerged as the single largest in the local body polls. 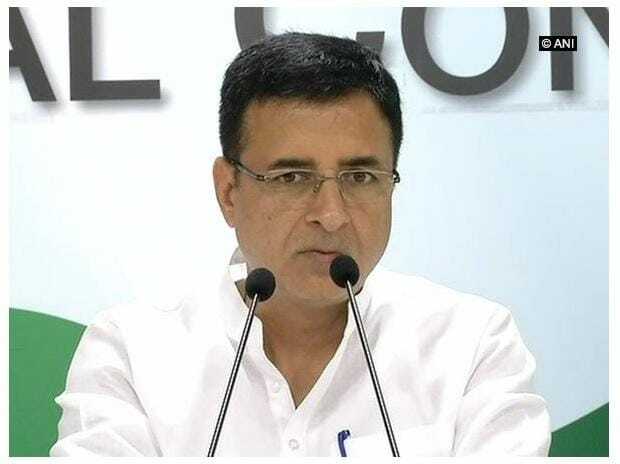 Congress chief spokesperson Randeep Surjewala, while thanking the people of the state, said that they have once again reposed their faith in the Congress. "People of Karnataka have once again reposed their faith in Congress by making it the No.1 party in Urban Local Bodies. "People have accepted development policies of Congress+JDS Govt & have rejected Jumlas of BJP. Many thanks to every @INCKarnataka worker!," he tweeted. According to the state election commission, the Congress has secured 966 seats and the Bharatiya Janata Party (BJP) bagged 910 seats in the elections held on Saturday. The Janata Dal (Secular) has won 373 seats. People of Karnataka have once again reposed their faith in Congress by making it the No.1 party in Urban Local Bodies. People have accepted development policies of Congress+JDS Govt & have rejected Jumlas of BJP. JD(S) leader Danish Ali termed the poll result as a defeat of the BJP, noting that the civic elections were held in 104 urban assembly constituencies, out of which the BJP had won 69 in the state elections held in May. "The Congress and the JD(S) will coordinate to form urban local bodies since we are in alliance and this will help in further assimilation of the cadres," he said.